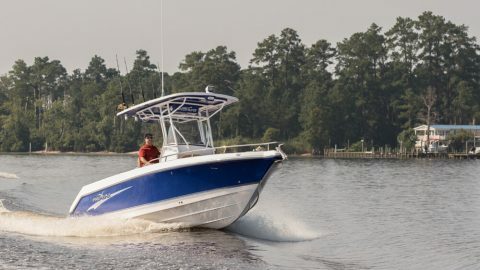 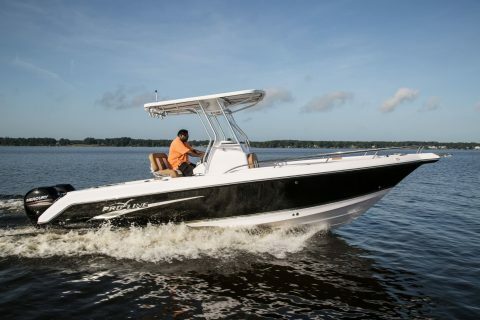 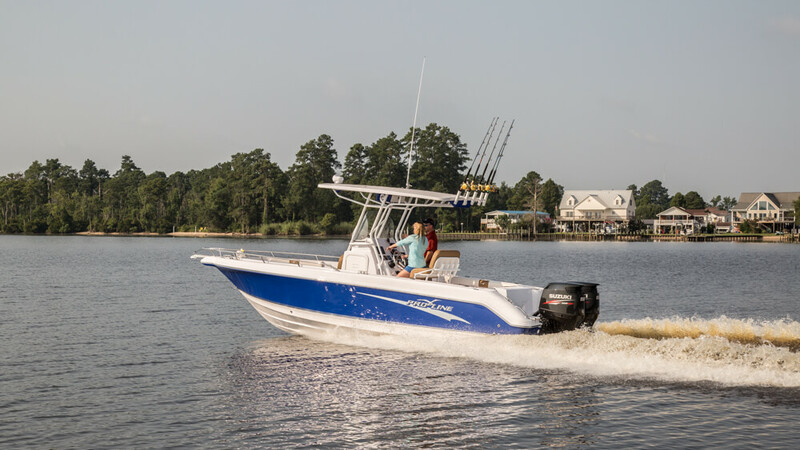 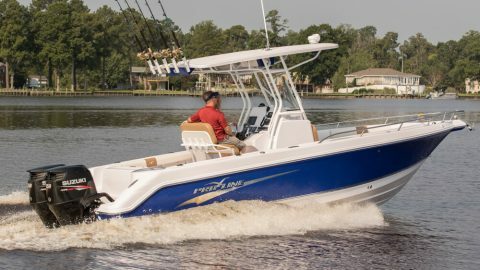 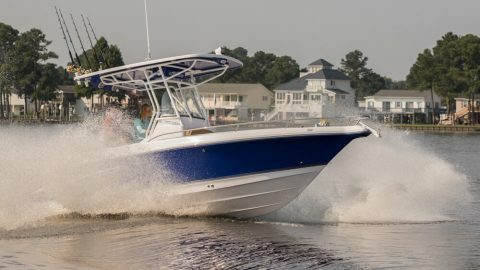 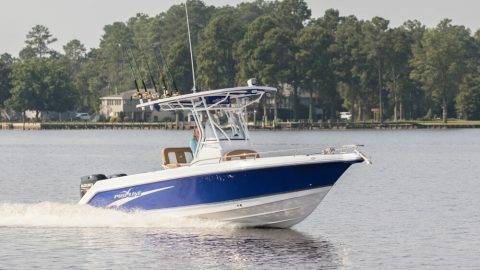 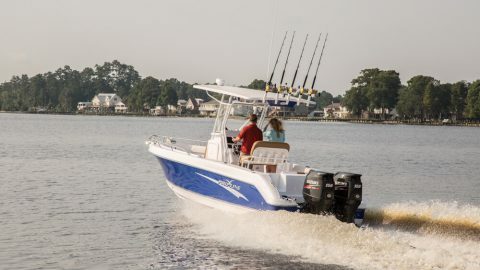 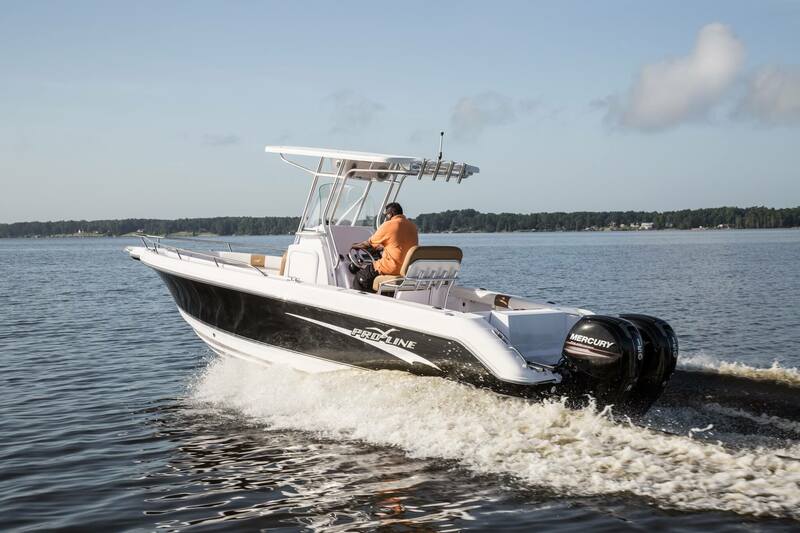 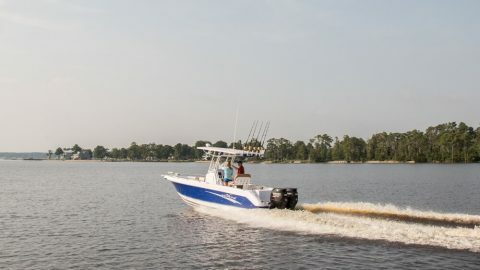 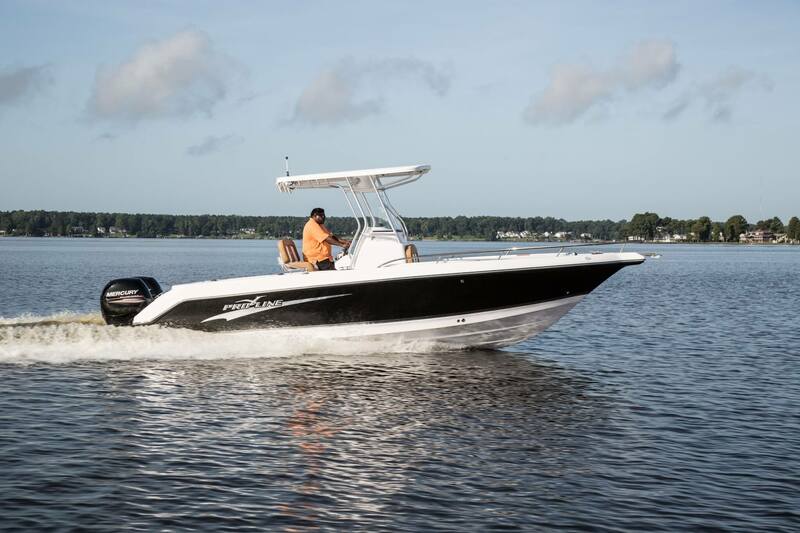 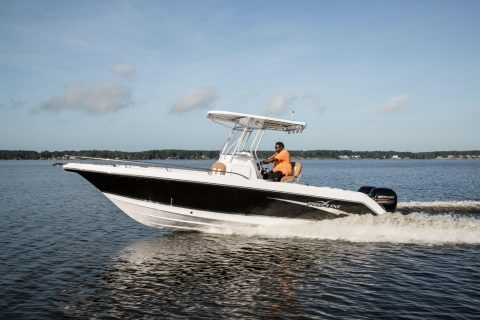 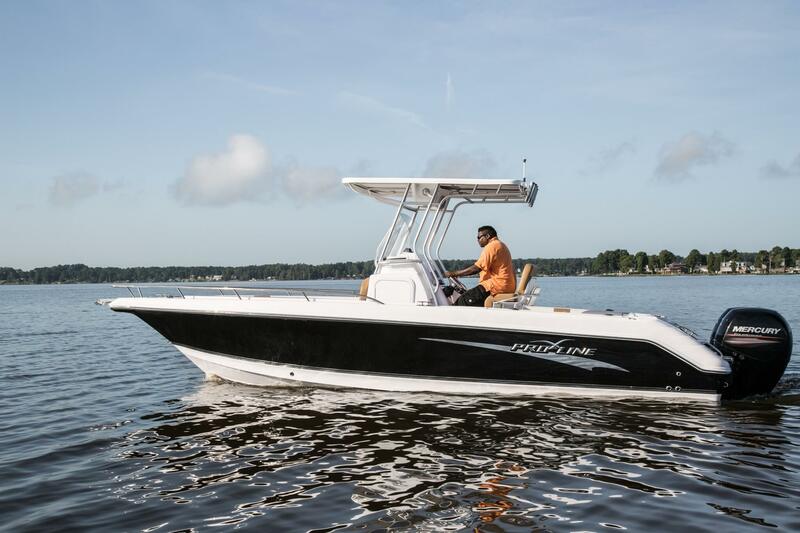 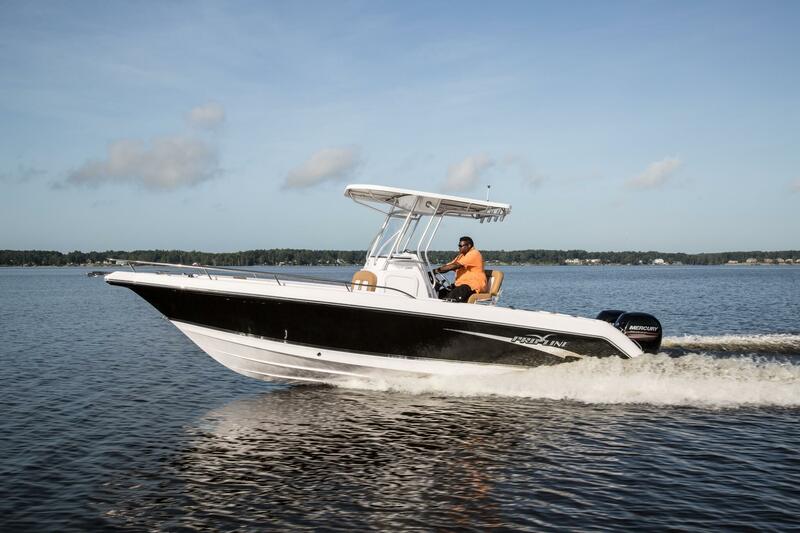 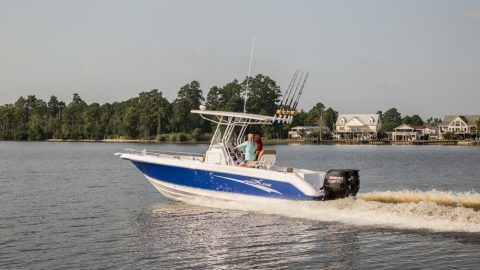 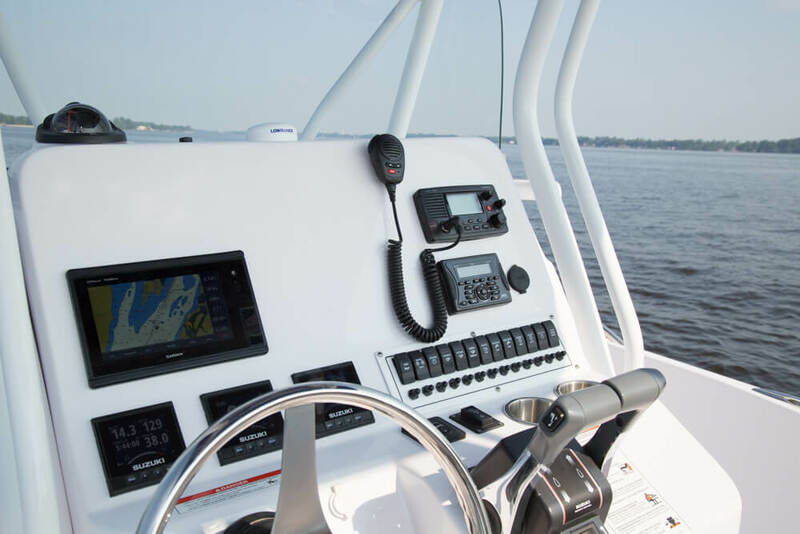 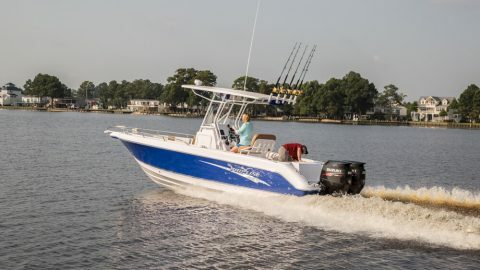 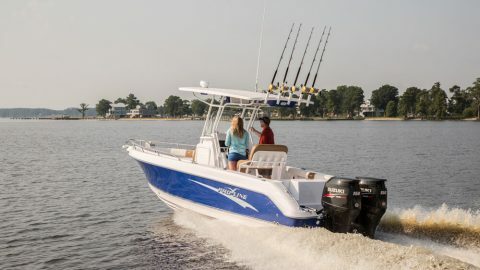 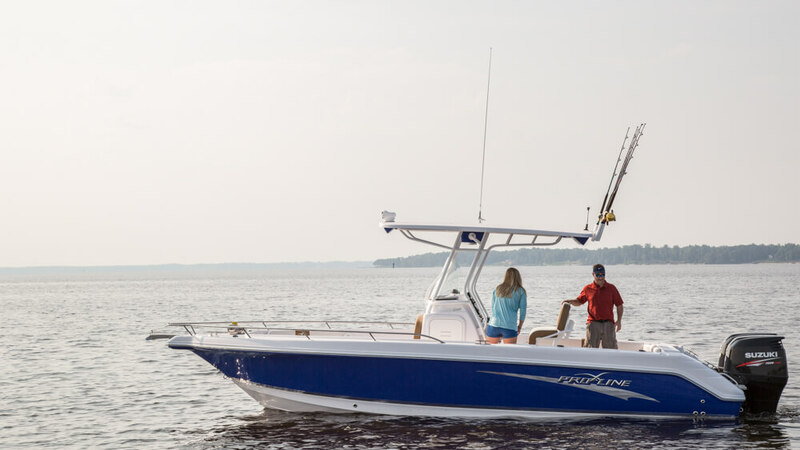 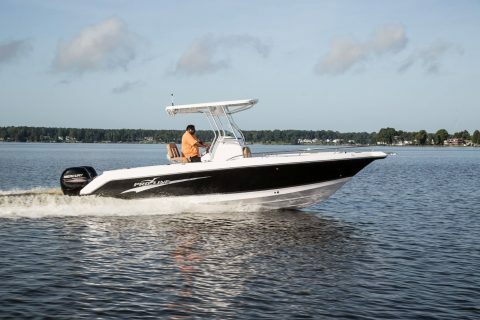 With an 8’6” beam and a 22 degree deadrise, this boat gives new meaning to center console performance. 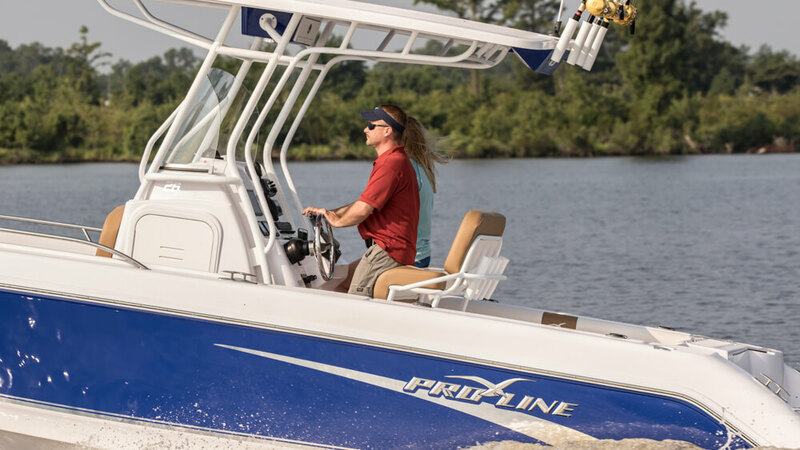 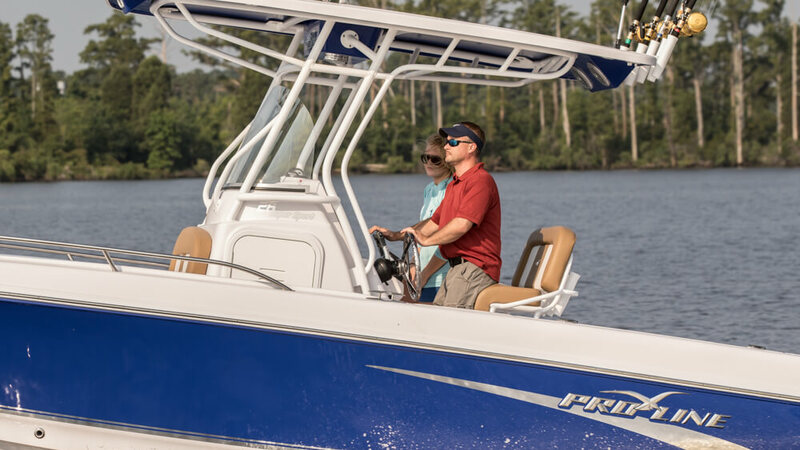 A faster hull, a smoother ride, and better fuel economy is what Pro-Line performance is all about. 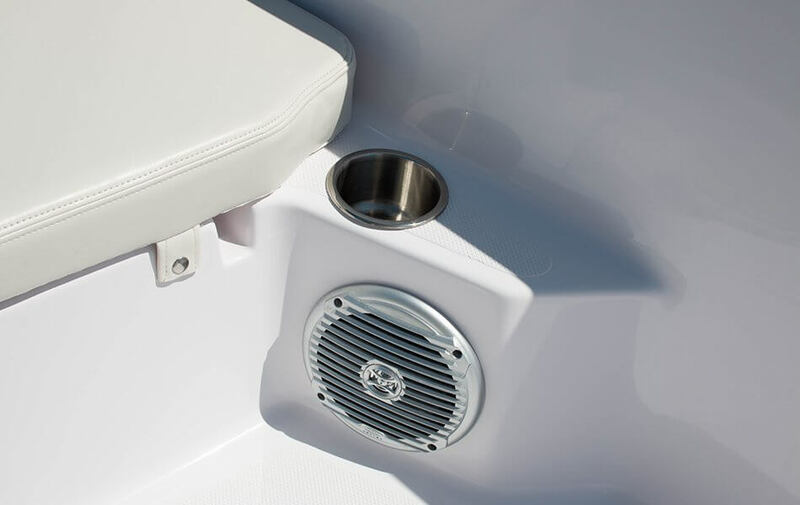 On deck you’ll find an abundance of fishing features normally found on much larger and more expensive boats. 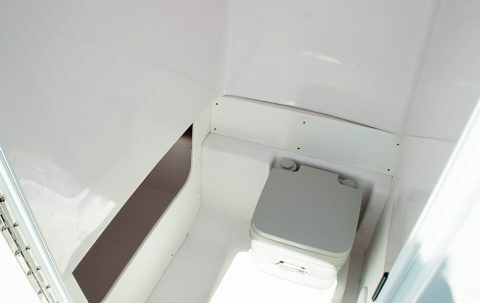 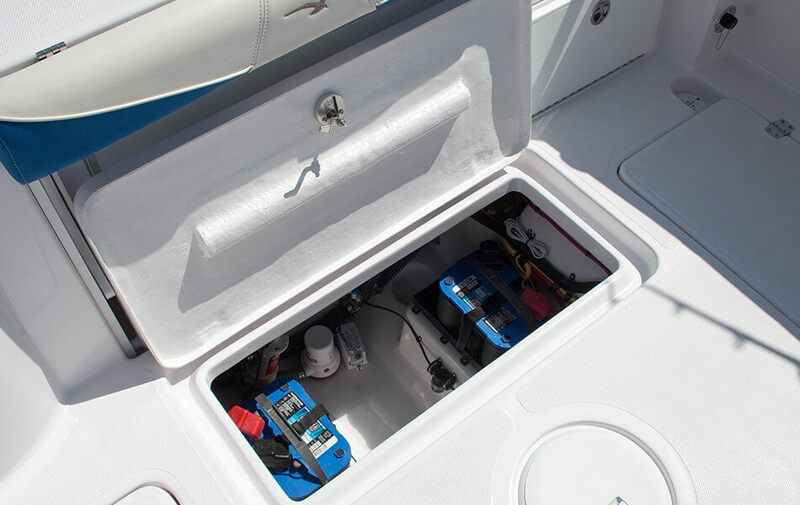 A lighted baitwell is integrated into the transom to ensure plenty of room to fight the fish. In the deck are 2 large insulated fishboxes. 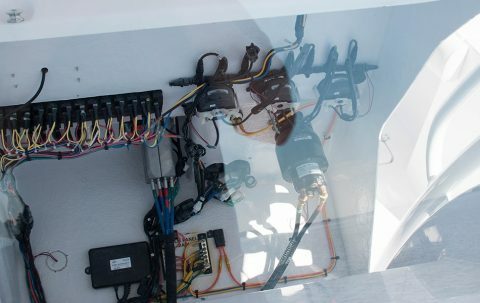 Rod storage is located under the gunwale. And rod holders are strategically placed above the gunwales. 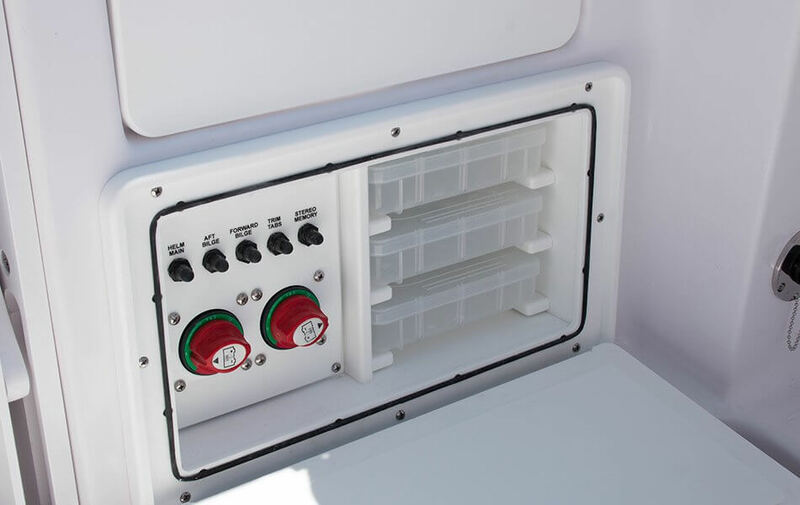 There’s a large forward casting deck with 2 storage lockers, and the console has enclosed head. And when it comes time for sitting and relaxing, the 26 SS delivers. The console has a forward molded bench seat with backrest and on the aft deck is Pro-Line’s foldaway transom bench seat with backrest.